my mom always had a nice tree plus a littler tree for all the kid stuff. a good idea! you deserve a nice tree. it does look beautiful. so does the little girl next to it. I agree about the little tree for the kids. This year we're doing a hodge-podge. I really like the kid's ornaments and it feels more like a family tree with them there. I'm with you on the star topper thing. This is the first year I've had a real topper. 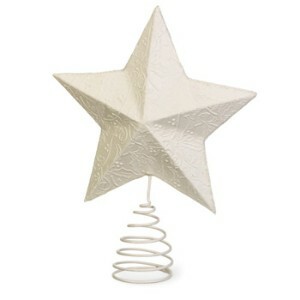 I always made due with a large star ornament on a string near the top.